The art of styling the modern Australian man is minimalist, sporting and understated. 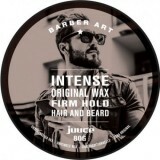 Barber Art’s grooming products create stylish, masculine looks for every day lives. THE BARBER ART ETHOS IS – PLAY THE HAND YOU’RE DEALT AND LIVE LIFE TO THE FULL, WITH GREAT HAIR EVERY DAY! 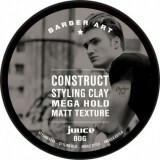 Construct Styling Clay Perfect for creating massive texture with mega hold for long lasting h.. 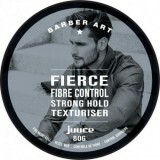 Fierce Fibre Control Dry fibre wax with strong hold, spreadable, pliable all day control, add..
Intense Original Wax Shapes hair and beard for all day texture control with firm hold. &n.. 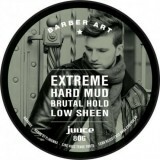 Extreme Hard Mud Low sheen styling mud with brutal hold to last all day. DIREC..